"Astonishingly imaginative and thoughtful…” ~Samuel F. Pickering, inspiration for Academy Award-winning movie Dead Poets Society~ Over 125,000 copies sold/downloaded & 1.8 million page-reads in Kindle Unlimited! 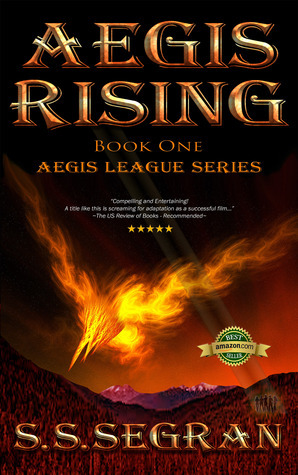 Aegis League is a multi-award winning series about friendship, courage and a quest to save humanity. MOVIE RIGHTS OPTIONED. Lifelong friends Jag, Tegan, Aari, Mariah and Kody are cast into an adventure of epic proportions when their small plane crashes in the remote forests of northern Canada. They are rescued by a secretive tribe in a hidden valley who possess astonishing abilities — and a terrifying divination. The group soon learns that not everyone in the peaceful village means them well. But the worst is yet to come when they discover a larger, more sinister force at work outside the valley. And it intends to remake the world in its image. Shocked to learn that the fate of humanity now rests on their shoulders, the teenagers struggle to accept their new roles. Armed with powers entrusted to them by an ancient prophecy and the resilience of their friendship, can the group survive the onslaught of a ruthless enemy and put an end to its cataclysmic scheme? If you like epic adventure stories with endearing characters in an immersive world then you will love the Aegis League series! Sprinting like a madman, he soon reached his house. Smoke and flames shot out from the roof as he barged through the main door. Fumes and ashes began to choke his lungs. He coughed as he called out to his family. Terrified, Mokun tore through his abode. His eyes teared up so terribly from the smoke that he could hardly see where he was going as the unbearable heat weighed down on him. His heart pounded as he struggled to breathe. He couldn’t find his family anywhere. Then a thought struck him: the cellar! They may have panicked and sought safety below ground. He ripped off the hem of his tunic and tied it around his nose and mouth. The smoke was so thick he was forced to feel rather than see his way to the cellar. He found the door to the cellar opened and tripped over the steps in his haste, falling to the ground. He pulled himself up and called out again to his loved ones. He got no response and stepped forward. His foot bumped against something and he jumped back. With growing dread, he knelt down in the darkness, squinting to make out three huddled shapes. He froze in horror, oblivious to the danger around him. His five-year-old daughters were huddled against their mother, and his wife had her arms wrapped around the twins. They didn’t move. A mysterious plague destroys crops and leaves swaths of farmland around the world in ruins. Panic and riots break out. Famine and rebellion push nations to the brink of war. With the memories of their fateful summer suspiciously erased, straining their relationships, Jag, Tegan, Kody, Aari and Mariah must regain what’s lost to battle the forces of darkness advancing across the lands. Finding themselves hunted by operatives from a clandestine organization at every turn, can the group outmaneuver their pursuers and stop the world from descending into chaos? If you like epic adventure stories with endearing characters in an immersive world, then you will love the Aegis League series! Over 125,000 copies sold/downloaded & 1.8 million page-reads in Kindle Unlimited! …The aircraft thundered right over Elwood’s head, so near that the vortex of air created by the plane’s passing churned the water violently, capsizing the canoe and pitching him into the lake. He struggled and attempted to cry out, only to choke on water. He floundered back up to the surface and sputtered and spat as he tried to regain his bearings. 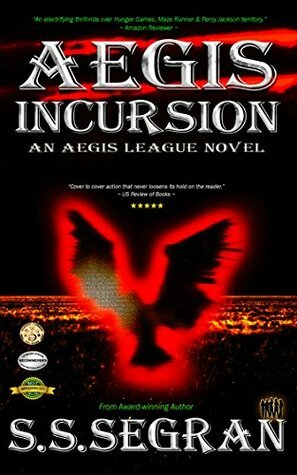 If you like gripping action-adventure stories in an immersive world, then you will love the Aegis League series! Jag and Tegan flopped onto a couch despondently and turned on the television. They increased the volume just as the anchor warned viewers of the graphic imagery that was about to be broadcasted. Mariah, Aari and Marshall joined them as a shaky video from a Moscow train station unfolded. Screams and gunfire blasted through the speakers as armed personnel in military hazmat suits gunned down infected men and women. Some of the footage had been blurred but a few of the friends still turned away. Aari stumbled toward the front door, slamming it shut behind him. Tegan looked away. As much as she tried to forget, the dead Dema-Ki villagers from the Battle of Ayen’et still lurked in the recesses of her mind; their bodies strewn lifelessly in the dirt, the rest of the villagers having to carry their fallen brethren home and bury them. The massacre at the train station brought the raw images back to the surface. Her eyes welled up but she quickly blinked back the tears as the images on screen switched to drone shots of civilians being taken into quarantine zones around the world, some even at gunpoint. One zone in Indonesia had gotten out of control, and as in Moscow, the infected were all gunned down. The camera cut back to the anchor but each time she opened her mouth to speak, only shaky breaths came out. “I, um . . .” She pressed her fingers to her closed eyelids. Amazon Bestselling author S.S. Segran is a lover of books, dogs and all the popcorn she can stuff her face with. 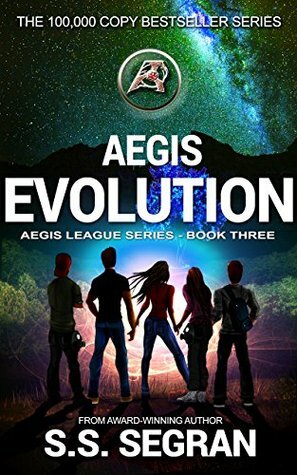 Her genre-defying Aegis League Series traverses the exciting worlds of action/adventure, sci-fi, thriller and speculative fiction in the YA universe. Even as she delves into her creative endeavors, she intends to support youths in developing countries realize their potential through her non-profit organization, AegisLeague.org. When not devouring a novel or writing one, Segran can be found drawing on paper and tablet, or tumbling into a black hole of comic books and video games. She's an ardent fan of horseback riding and parkour, and having enjoyed jumping out of a perfectly fine plane at fifteen thousand feet -- perhaps skydiving. Subscribe to her Aegis Insider reading group and receive a 10-Volume short story collection and other exclusive material plus Advance Reader opportunities for upcoming books. Looks exciting love the blue. i enjoy this genre and happy to see there's several books available. Such bold and stunning covers too. THE book looks very interesting and I really like the cover. The book sounds like it will be a good read. Catchy and enchanting cover indeed. The book covers are very cool. These sound like great adventures with characters I will like. I enjoyed the excerpts! Sounds like good reads to me!